Do you have the The Way of Qigong textbook? See your enrollment options above for "I already own the text". Qigong is an integrated mind-body healing art and science that has been practiced in China for thousands of years. This course explores what qigong is and how its practitioners integrate it into their life and massage or bodywork practice. This course provides conceptual preparation to seek additional training, and does not teach hands-on skills. Please seek additional experience, with a mentor, to add hands-on skills. I am a therapist that firmly believes in the transfer of energy between living entities, this course helps to pin-point exactly how to build, release, and exchange vital life energy. I have always said that the Chinese knew thousands of years ago how to diagnose and treat dis-ease of the body...the information was never lost, just forgotten. This book is meant to help us remember. I am sure to read this book many more times throughout my life. Thank You! Qigong will enable me to attain another level of being able to help my clients. I was very pleased with this course. Thank you very much; it was a pleasure working with such a professional and efficient organization! I enjoyed this course and I learned a lot about healing and even stuff to help with my own negativity. I absolutely loved the material and i learned a lot. I can use this as i am a massage therapist. It was very interesting and even funny at times. Great course material. I've read other Qigong books so wasn't new to me, but I liked this author and will read more. Great course. I loved the choice of textbook. I will refer to it again and again. This book will help me tremendously as a Massage Therapist. This book has reminded me how important the breath is, and how we take the breath for granted. This will help with emotional, spiritual and physical healing for me as well as my clients. I am so thankful I found this course online. Great book. Great course. Challenging but fair test. Quality course. The book was excellent! Clearly written with excellent written examples of the principles. I'm going to be taking a Qigong class this fall and plan to practice Qigong, and hopefully integrate Qigong healing in my massage practice. The textbook by Kenneth S. Cohen was excellent. I will be using it again. I am also inspired to start my own qigong personal practice. Well Done! I really enjoyed this course. It was very informative and interesting. Kenneth Cohen is a fantastic writer and explains the material so well. Very clear instructions on the topic. I appreciated the historical information and mention of multi-cultural similarities. very interesting, easy to understand and explain to others will be able to use this in everyday life. This was a good course. Even after reading the book, I found that I needed to go back to find specific answers, so it really helped internalize the information. I enjoyed the material. I have been practicing Qi Gong for over ten years. This course has insights and information that have and will expand my skills and knowledge. Enjoyed the course and the ability to complete it at my own pace. I enjoyed this course and learned a great deal. Book provided was not what I expected, but ended up really grabbing my attention. Great new self-help knowledge! I learned a lot from the Qigong course which I intend to use to enrich my clients and my life. The staff support was friendly and effective. Thank you for providing me with this course! Ken Cohen's textbook is EXCELLENT! I have practiced Qi Gong exercises with Ken Cohen's QiGong dvds sporadically since 2003. The CEU impetus and this course proved to be invaluable as I have finally read his superbly detailed text cover-to-cover. My daily qi gong practice has been strengthened as well as deepened, and I feel that this entire experience will enhance my overall work with patients very favorably. Engaging. The book rather opens the gate for appreciation and interest in moving forward with Qigong training. I am grateful to the author for sharing his expertise and love of this Healing Art. I will continue to enjoy referencing this book for personal use and in my massage therapy practice. I expected to learn a lot taking this course. I had no idea how much. I am amazed at the amount of knowledge and insight that I received. 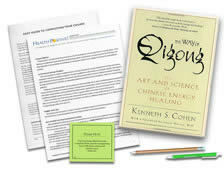 I loved this book- The Way of QiGong: The Art and Science of Chinese Energy Healing. The author was very clear and thorough in his presentation. There was a good balance of the ancient mystic beauty of QiGong as well as modern day scientific validations. It is intelligent while easy to understand. It validated much of what I already knew and taught me so much that I didn’t know previously. This is a book that I will frequently reference, and I look forward to reading it again. This was one of the best books I have read in a long time. 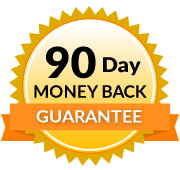 The information was excellent and it explained work I have done for years. I am very glad to be able to add the practical application of the Standing Meditation technique to build energy before doing healing work. Thank you! One of the best courses i have taken so far!!! I am very pleased that this book formed the course material. It contained excellent information. I really liked the wide variety of QiGong exercises in the book and thought the author to be very detailed with the history of QiGong in China and it's positive impact as an alternative health practice. I love the book for this course and am very eager to start practicing some of the exercises - all of which are clearly explained. Great course - thank you! Once I got started reading the booking, I didn't want to put it down. Forgot that I was actually taking a course for testing, then went back and started all over for course study. Very pleased with it and I'm looking forward to adding Qigong to my lifestyle. This was an awesome class. The book I will use over and over again in my practice and in my life. Loved it! A must read for any Energy worker. This was a wonderful intro to a complex & much misunderstood subject. The references sited and the research were a delight. This book will be with me for years. Many thanks to Ken Cohen for this great work! My interest in Qigong started with a weekend conference to earn CEUs. This course has help me to understand, learn, practice and pursue my practice Qigong even more. 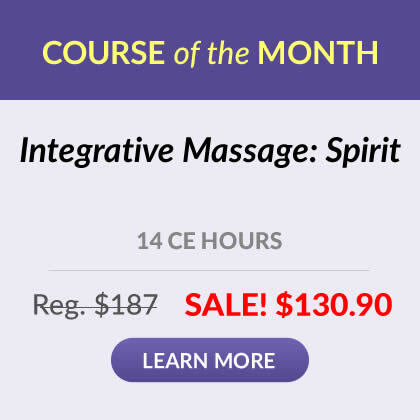 I am so thankful and highly recommend this course! Excellent text for this course. I enjoyed this course because it made the subject matter easily understandable for a "western" practitioner. Realistically, I don't know that I would incorporate this into my practice; however, I will experiment with it. I took it more for personal use, which, of course, will improve my health in all areas of my life. I love the wide variety of classes the Institute covers. I’ve taken a couple of courses through this site and couldn’t be happier. It’s an added bonus to have the ability to go at your own pace and not have to take the time off to complete the courses. There are so many courses I look forward to taking. This is an interesting, clearly presented course. I thoroughly enjoyed the subject material in this course. I have practiced Tai Chi Chih for years but this gave the back ground origin of Tai Chi. I also looked online on youtube to see instructor demonstrating Qigong. I will definitely incorporate in my practice. I already encouraged clients to look up more information online if they would like to use it. This course was better than the 2 QiGong Seminars that I have been to! Loved this book a wealth of info! Great resource to have and fun to read. I loved his humor; excellent class. I will use many of these meditations and guidelines. For me personally, I think Qi Gong exercises are something I need to be taught in person (or at least with a DVD). However the text book was very thorough in discussing the history & philosophy of qi gong. They introduced Qigong in massage school. I also took a class in Qigong postures to help you with massage, but this course was so informative and I really enjoyed it. Excellent course. I will return to the materials again to continue learning. I will apply a lot of this to my own life. I've always wanted to know all about Qigong. The textbook was superior! I learned a great deal of new information.